This week is all about monsters! Yesterday we shared mess free monster painting. Today I am excited to share a super simple Feed the Monster game!!! We made a different version of this monster game several years ago and we enjoyed trying it out again this week. This game is great for developing gross motor skills and working on hand-eye coordination and aiming at a target! This monster game is super easy to make! Start by cutting a monster out of posterboard. Add eyes with paper scraps and cut out a large hole for the mouth. 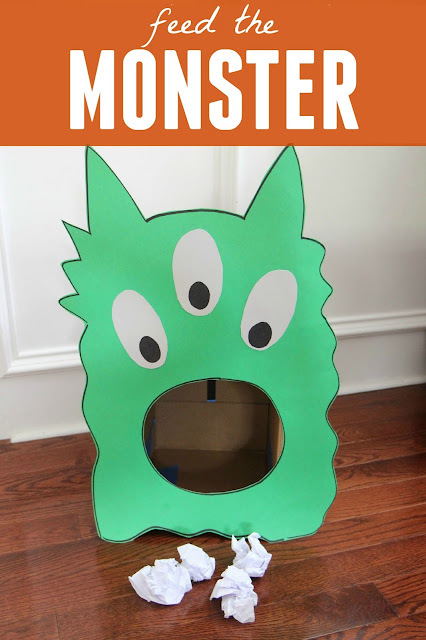 Tape an open box (we used a diaper box) to the back of the posterboard to create a place for the monster's food to go. Scrunch up paper to create balls. See who can feed the monster the most food by throwing, rolling, and placing the balls (food) into his mouth! 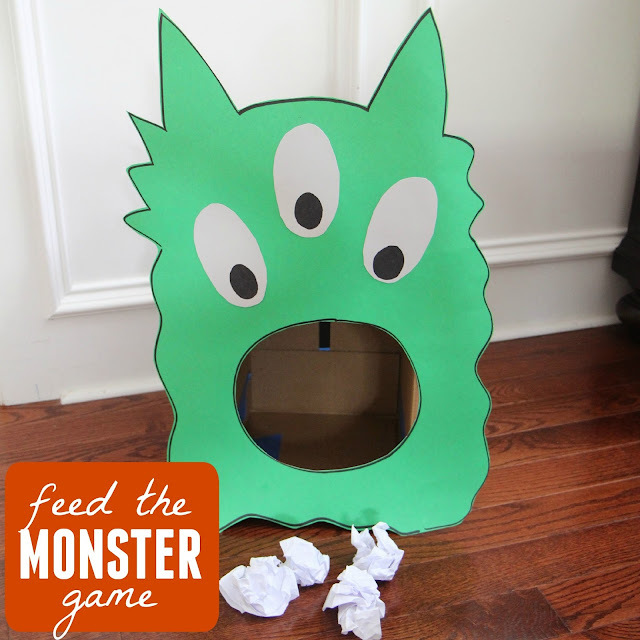 You can easily incorporate counting into this activity by counting as you toss the balls into the monster's mouth! Do you love monsters? We're having fun with monsters all week long!